There are so many things that we have to maintain as homeowners. From the carpets to the air filters to the garden to the grout in the bathroom, it seems like we are on an endless cycle of home maintenance. One thing that we don’t often think about, however, is the quality of air in our homes. With so much daily activity, we forget about how much dirt, dust, hair, mildew, and soot can build up in the air vents of our home and affect how clean the air is inside. One great way to remedy this is by scheduling routine air duct cleanings by a professional team. But how do we know when it’s time to clean them out? Is it something you can even know for sure? 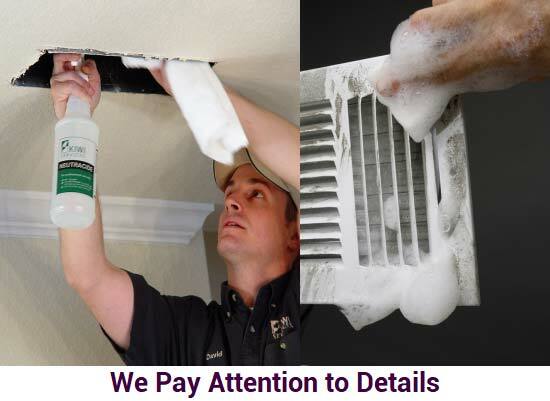 Here are a couple of signs that you should have your air ducts cleaned in your home. Is there constant sneezing, sniffling and itchy skin in your household? It may not just be allergy season—it could actually be your house that’s causing the problem. When dirty air that’s filled with dust and debris is flowing throughout your home, these particles are entering your nasal passages and working their way through your bodies. This can cause all sorts of things like sinus problems, allergies, respiratory infections, and it can even worsen asthma in some cases, triggering an attack. Your air ducts may not be outwardly visible—and therefore it can be difficult to tell whether or not they’re dirty—but if you see dust escaping from the air vents, this could be a sign that dust mites, allergens and dirt have built up through the entire system. Not only does air duct cleaning make your home free of dust, dirt and debris, but it will also make your HVAC system run more efficiently! Interested in scheduling an air duct cleaning? Call Kiwi Services for more information on scheduling and pricing today!